Recently the power of God in healing has been demonstrated on an extraordinary level in Mawanga. A caregiver named Tappenesi, who has been dear to ROWAN for 10 years became very ill late last year. So ill that most thought she would pass away. 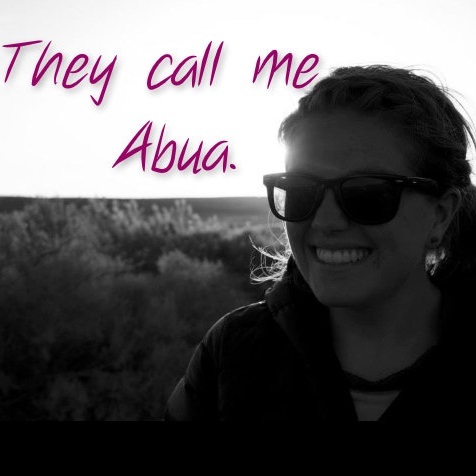 Through God’s grace she received the attention she needed by being sent to a hospital in Kampala. She went from not being able to move, talk, or eat to sitting up, holding conversations and eating solid foods! However, this story is not that simple. Tapp’s daughter Veronika was by her mothers side and tried anything she could to heal her mother. 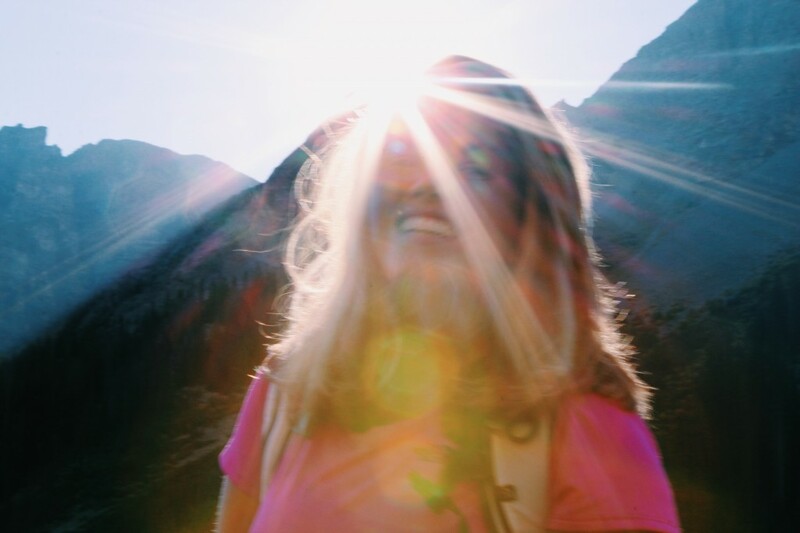 Read Veronika’s testimony, entailing the trials and tribulations and ultimately the strong power of healing through Jesus Christ for her mother. 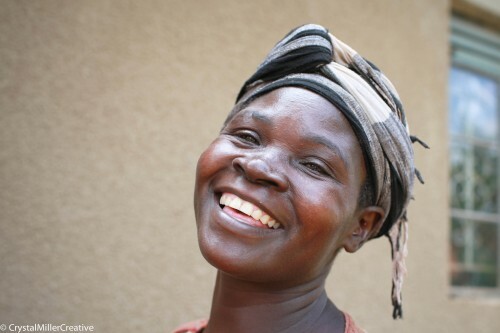 “My name is Veronica Alowo, I am 29 years old and live in Bisambira Mawanga . I am a single mother with three children, two boys and one girl. My mom is Tappenesi Omara and my dad is Moses Omara and they live in Mawanga. When my mom was sick I left my home and started taking care of my mom. My mom’s sickness worsened day by day so ROWAN decided to take her to the hospital in Jinja for a check up. While in the hospital the doctors tried to find out what was causing her problems but they could not find anything. After that they decided to bring her back home. As a family we thought that our mom was being bewitched so we decided to go to the witchdoctor in Nnodwe. When we got to the witchdoctor, they told us that our mom did not shave her hair when she lost her mother [ our grand mother ] and he told us that was the reason as to why our mom was feeling pain in the neck and in the head. So he told us to bring 4 goats, 2 sheep, 8 chickens and 380,000 ug shs. We went home and I wanted to sell my house but when pastor Paul’s wife heard about it she came to me and told me not to. I didn’t hear her so I sold my house which I had bought at 1.8 million and I sold it at 1.2million. We took the things to the witchdoctor and he slaughtered the animals, corrected all the blood and washed our mom after he covered her to sleep. Pastor Paul asked me where our mom was, I lied to him and said that she was in Iganga in the hospital. While all that was going on our mom could not talk or eat. Our father had not allowed us to try the witchdoctor because our father never believed in witchdoctors. After two weeks we came back home in the evening with some necklaces and some other things from the witchdoctor to use. The next morning Jane, Pastor David’s sister came and found our mom wearing those things we got from the witchdoctor I was ashamed because I thought she will go and tell Pastor Paul so I did not even greet her. Church members used to come and pray for her and she was greeting better but wherever they moved out we applied our things from the witchdoctor and the situation worsened. After one week pastor Paul came in the morning and took her to another hospital in Jinja for check up but still they could not find the disease so I told my aunt that these doctors were lying so we went back home and we as family still believed that our mom was being bewitched so we continued using and following the instructions from the witchdoctor but the church members never got tired of coming and praying for her. On the 24th of December pastor Paul sent his wife to come and tell us that ROWAN was taking our mom to the hospital in Kampala.I personally refused because I thought they were going to kill our mom so we opposed but my father had accepted. At 5 pm, pastor David came with the ambulance and they took our mom to Kampala and I remained crying for my mom at home. On the 29th of December I went to Kampala to the hospital to see my mom. I found her feeding in the tube. I was there for two weeks and some born again Christians used to come and pray for her. One day a certain pastor came and told my mom to only believe though she was not talking. The pastor prayed for her and he left. At evening I was seated in the room eating some rice and my mom was looking at me surprisingly. She asked me “does Morren know this place?” [ Morren is our last born]. Instead of answering yes or no I just ran away and went to the reception called the Doctors and told them that my mom was TALKING. We went back to the room and I tried giving her some food in the mouth and she ate it. I was extremely happy for my mom. After a long period of time without talking and eating GOD made it happen. After she told me that she wanted to talk to Morren. I rushed and bought some airtime and called Pastor David and Pastor Paul. I told them that mom was talking so joy was everywhere. I called my brother and asked for Morren. I put my phone on the loud speaker and mom said hello to morren. Morren answered and even told mom how she passed her primary leaving examination. From there I began believing in the prayers and that GOD is ABLE. I started feeding her and since then I was the happiest person and people started calling me TAPP JUNIOR. But all along I had not confessed CHRIST as my personal Lord and Savior but I used to go for fellowship. My mom has even started making choices of the foods she wants to eat and she is even feeding herself, GOD IS GOOD. One day when we were in Kampala, Pastor David came with his son called Solomon and I told Solomon that one day I will stand and confess Jesus Christ as my personal Lord and Savior. After some time we shifted and came to Jinja to another hospital and my mom is improving day by day. On the 28th of January 2015 in the hospital I decided to confess and take Jesus as my personal Lord and Savior. With God all things are possible. My mom and ROWAN are not of a clan. It is because of the GRACE that GOD has and ROWAN has treated my mom well and she is getting better everyday. Thank you so much Kelsey, Pastor Paul, Pastor David and the ROWAN family for the support and love you have demonstrated towards my mom’s health. What is ROWAN really like in the village? When Kelsey asked me to guest blog about my summer internship with ROWAN I was suddenly overwhelmed with amount of stories and moments I wanted to share. I had no idea how to describe on paper what was felt and experienced so fully in the heart. However, I want to share with you guys a glimpse of my journey to and from Mawanga and my hope is that it inspires you to be apart of the ROWAN family and GO. I was born with a heartbeat for social justice and that part of me came alive in high school when a teacher mentored me towards a better comprehension of so many human rights violations occurring in the world every single day. During that time I learned about the evils happening in Uganda and the only thing to follow was activism. I was blessed with incredible parents that let me sleep in New York City parks, skip school to lobby in DC, and rescue ride in vans with total strangers so we could spread the need for change with resilient hope. The end goal for so many of us was to go to Uganda and be in person with the people we were fighting for. Little did I know that goal was not the end, but the beautiful beginning of something I now carry with me every day. When Kelsey accepted me to come along as an intern there were no words to describe how excited I was to finally go meet and help them. Oh how naive I was! Naive to think that I would show up and change their lives, when the exact opposite happened. I arrived in Mawanga and without hesitation the people welcomed me to their table, into their lives, and they called me Abua. It was my life that was changed and I traveled home a few months later knowing so much more grace, love, healing, joy, and feeling fiercely alive! There are so many reasons why I left that special village changed, but one thing I will always carry with me is how we began and ended our day as a family. We would wake up to find that Pastor Paul and Mama had already been up before the sun praying for the day ahead and preparing breakfast. We would drag ourselves out of bed and meet them at their humble breakfast table and this definitely-NOT-a-morning-person would begin her day with popcorn, a sense of full presence, and a vision for the day ahead. Then we would be sent out and our job as interns for the summer was to collect stories, observe, gather information, and brainstorm self-sustainable programs that would practically empower and support the orphans and widows. For me, the absolute best part of our job was to love the orphans and the only gift we had to give them was our time. So the majority of our day was spent breaking the language barrier with dance and trying to play soccer in our skirts. When that golden African sun came up we were apart of their day-to-day routines and when the sun went down I had never slept so well in my entire life. We worked hard all day and slept hard all through the night. Well, expect for one night when a spider bit Kelsey on the face and I crashed a boda-boda in the village center. I can’t paint a picture of the entire summer being blissful and perfect. No matter the scale, every day there was something challenging that came our way, but we would learn from what was thrown at us and our own mistakes as a team. The end of our day was always book-ended back at the table as a family with tired bones, heavy eyes, bug spray in our pockets, and potently smelling like wet-wipes. I remember so clearly how we would spend that time sharing about our day, reflecting with so much gratefulness, and in stitches at Pastor Paul’s hilarious little stories that can bring even the groggiest of interns into eye watering laughter. For me the internship was everything I hoped for and more because of the orphans’ infectious joy and that humble little table in Mawanga, Uganda. Wherever you are in life I hope that you have a table where you gather with your family; and if you don’t I hope that you that you seek or create one! So that you can be filled up, challenged, loved and then sent out into your day/life/dreams/moments feeling fully known and fully loved! Maybe you did not spend years dreaming about Uganda and maybe it is not a journey you need to take to discover yourself. However, wherever you are in life I hope that you always always always take the chance to bring yourself, just as you are, to gather around the ROWAN table. If you have the chance to GO I hope you say “YES!” to visiting Mawanga to become apart of this beautiful family! You may know about one of our latest partnerships with The Ndoto Collection, but have you heard the incredible testimony of the founder Jennings Wright? Read the story of how The Ndoto Collection came about and how our partnership was made! 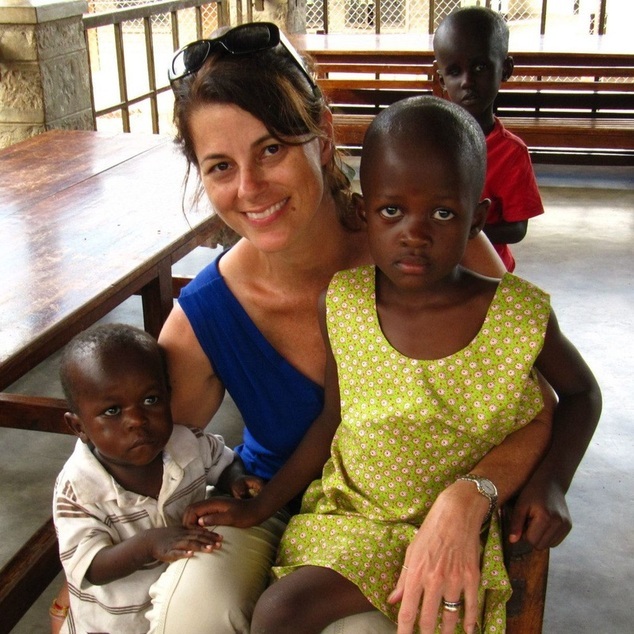 “My name is Jennings Wright, and I am the founder of Ten Eighteen, Inc., a nonprofit working in Uganda. This is our 6th year there, and we’ve been so blessed to see God’s hand in growing and shaping the ministry. Our latest project got us connected with ROWAN through, of all things, Instagram! In September, 2014, after a lot of prayer and seeking the Lord over our funding (our largest donor wasn’t able to contribute at all in 2014, leading us to have a budget 1/3 the size of previous year’s! ), my daughter and I started a for-profit “sister” company called The Ndoto Collection. 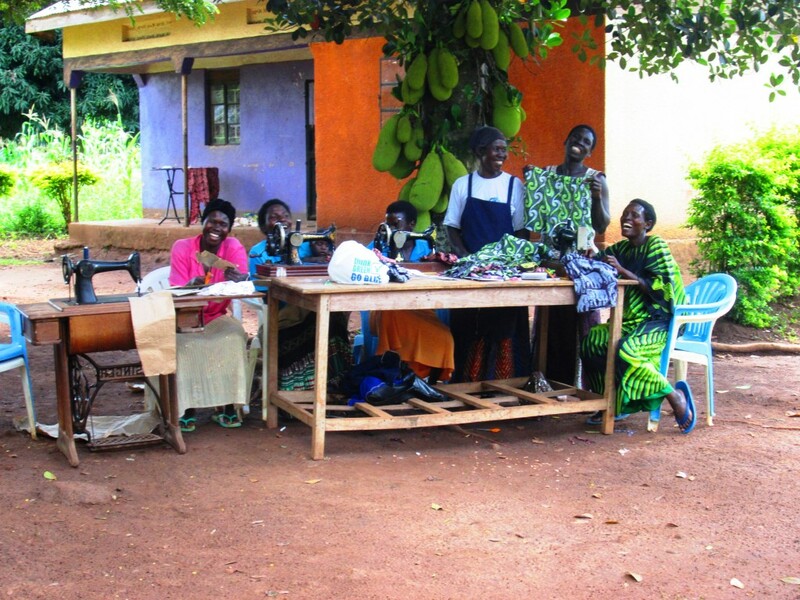 The idea was simple – the Ndoto Project uses cooperatives of women in Uganda to make clothing, jewelry and other items, which we sell here in the US. We pay them a salary for their work (this is important – we are not paying by the piece, we are paying a living weekly salary). Once the items sell, Ndoto contributes 30-50% of its profits to Ten Eighteen to help fund the work there. But the actual project wasn’t simple! We already had a group of ladies in the slums of Namuwongo, Kampala who would make up our first co-op. When I originally presented the idea to my friend in Kampala, we made plans to go to Arua where another friend has started a new work, and start a co-op there. In the meantime, I’d found ROWAN on Instagram. Kelsey had asked if anyone would be in Uganda in October or November that could bring some things back to the States, and I’d offered to do it. The next day (because that’s how God works sometimes! ), our trip to Arua fell apart. That left me with just one co-op, which was not terrible, but would limit our initial offerings, and make a longer trip necessary at another time . I was already going for 3 ½ weeks, which is a long time to be away from my husband, and really wanted to get everything as far as setting up the project accomplished on that trip. The following day, during my quiet time, I thought, “Hey, I wonder if ROWAN has anyone who sews or would want to?” I went online and looked at the website. I didn’t see any quilting circles, but it seemed a possibility, so I asked Kelsey about it. She talked to Pastor Paul and David/Wafu, and we spoke for over an hour the weekend before I left on the trip. The bottom line? ROWAN had been gifted some sewing machines from a ministry in the UK. They didn’t know how to use them yet, but there were women who’d like to learn. Game on! I spent a week in Kampala working with our ladies there, searching out fabrics, experimenting with some jewelry designs, and interviewing candidates for the job of supervisor. Without an on-site supervisor, I knew this whole project wasn’t going to work, no matter how much either side wanted it to! After one REALLY bad (really really really bad!) interview, we found James Jemba. Wafu asked me while we were in Mawanga, “How did you get him? He is a very accomplished person!” Honestly, it was God. There is no other explanation that a man who has toured the country with the education minister, who administers national vocational exams, who has been a teacher for 20 years, would not only agree to work for a start-up project like ours but be EXCITED about it! But he did, and it has been a wonderful relationship so far. The next week, we met in Mawanga and “Teacher James” as they call him got started. He taught the ladies how to make patterns, how to use their hand-powered machines (yes, HAND powered machines! ), and how to service them. We spent two days on that trip, and the transformation in the ladies was just amazing! They were learning a skill. They were going to make a salary. And this skill was something that couldn’t be taken from them. When we left, we made arrangements to convert the machines to foot power by having tables with treadle pedals made. James has gone back regularly to do more training. The women have received their pay with great joy. And their pajama shorts are SO CUTE!! I’ll be back in February, and can’t wait to see how far they’ve come since that first trip. Real Beauty for a Cause is a business for the natural beauties. 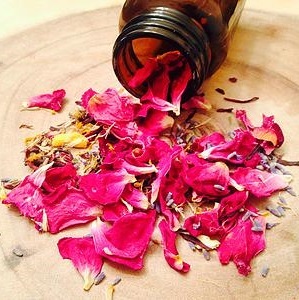 Real Beauty for a Cause is a 100% natural skin care company based in St. Louis, MO. We ensure that every ingredient used is naturally derived and has not undergone any chemical processing. All ingredients are carefully selected with a focus on the highest quality possible. And guess what? Real Beauty for a Cause is giving 25% of their proceeds to ROWAN this month! We figured the month of love is the month to donate to LoveRowan.org! Don’t Forget! Friday February 13th Real Beauty is giving 100% of purchases to ROWAN. More blogs to come to showcase their products that will ultimately give back to our community!